For Father's Day my sister and I made my dad a dessert for breakfast! This breakfast was inspired by the rice pudding that we ate at a restaurant called L'Ami Jean in Paris. The main picture is the vanilla-bean filled rice pudding served with a wooden spoon. 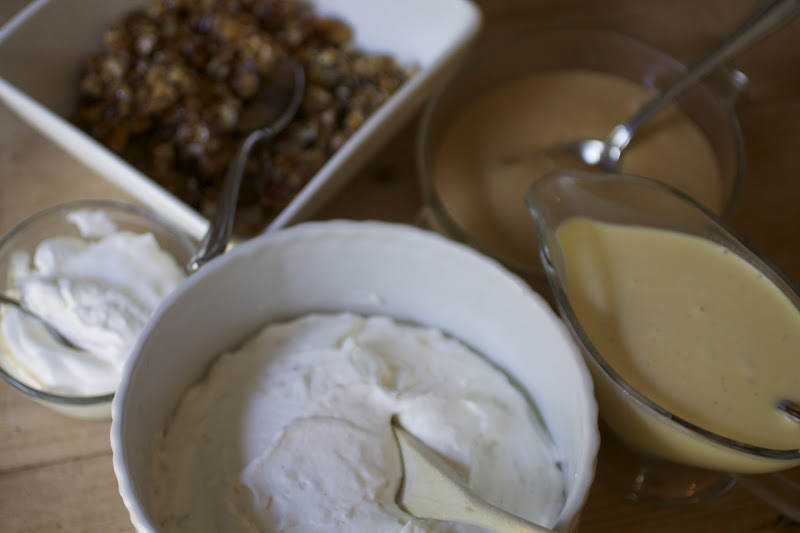 Next to it is some creme anglaise, dulce de leche, hazelnut brittle and whipped cream. ALL homemade. Remember that nothing spells out love like a home cooked meal! Here are the pictures!